In commemoration and celebration of the Women’s Suffrage movement, C Fylm and the National Trust are hosting a screening of the film “Suffragette” at Trelissick, with an accompanying talk about Ida Copeland, the former owner of Trelissick and one of the earliest women to join parliament. 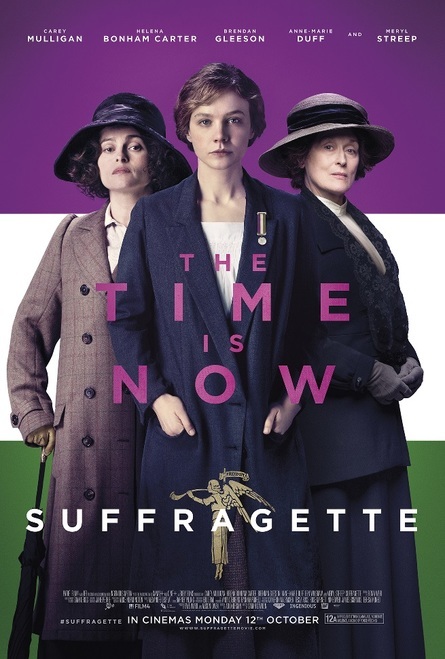 “Suffragette” is an intense drama that tracks the story of the foot soldiers of the early feminist movement as they fought for the right to vote. Maud Watts (Carey Mulligan) is one such foot soldier. Galvanized by political activist Emmeline Pankhurst (Meryl Streep), Watts joins a diverse group of women who fight for equality and the right to vote. There will be a licensed bar and nibbles! Entrance to the film and talk costs £6.00, which includes a year’s C-Fylm membership. Once you join, you can then access low-cost film screenings in any one of the 32 C-Fylm clubs across Cornwall, which can be found on the C-Fylm website.